Surprise guests with the modern appeal of the Raise a Glass Collection from kate spade new york. 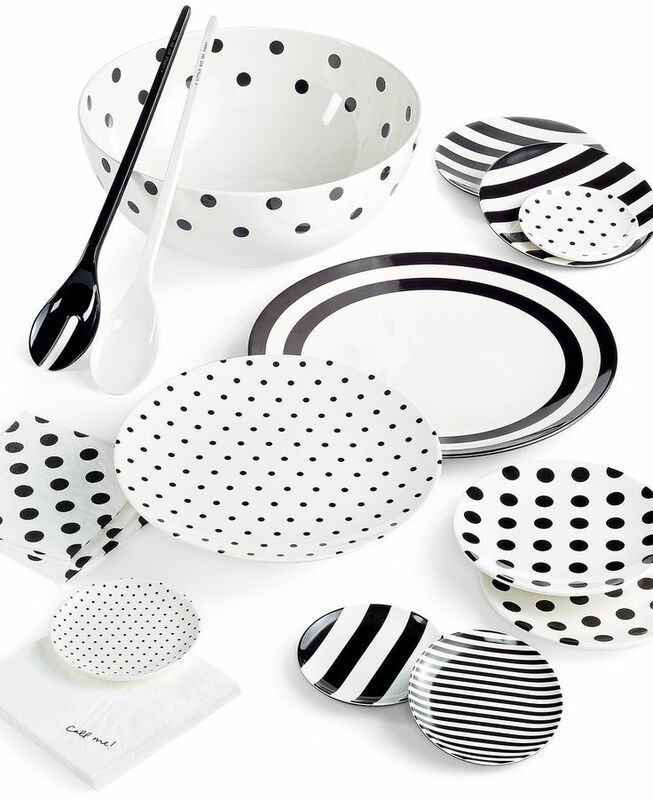 Bold stripes and dots mix and match for the perfect tablescape. $14-$45. Buy here. 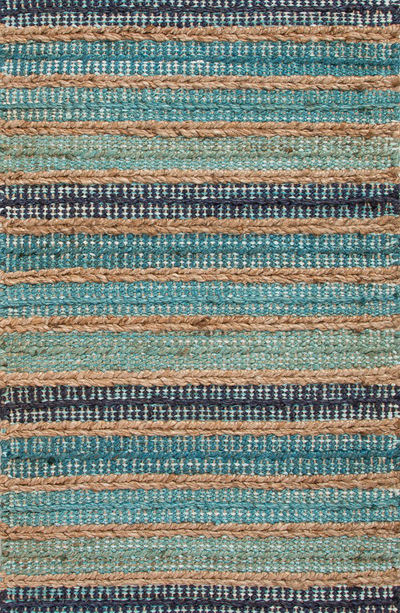 Add an artisanal accent to your entryway with this natural Dudley Jute Accent Rug expertly handwoven with textured stripes. 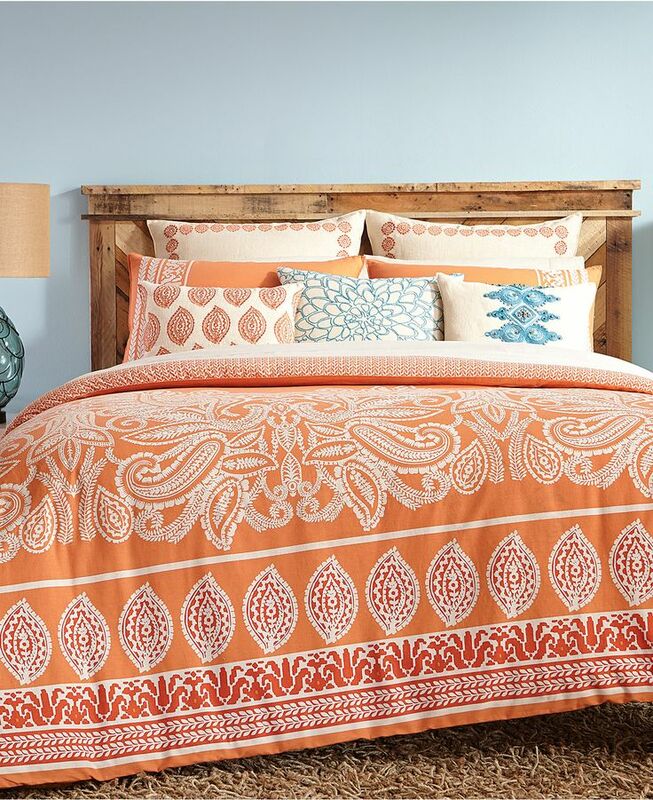 $39 Sale $28.90. Free shipping. Buy here. 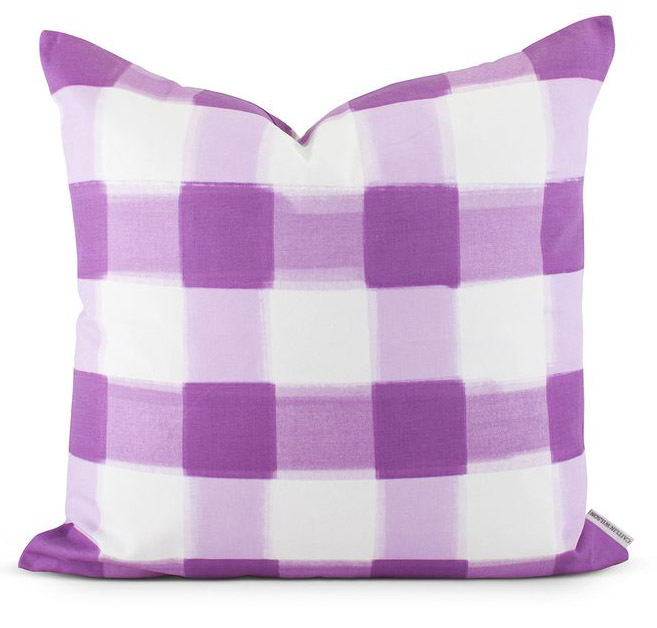 This Lilac Buffalo Check Pillow is perfect for pairing with other prints. Buffalo check is always a classic, and takes a twist in lilac! Down insert included. 20″. 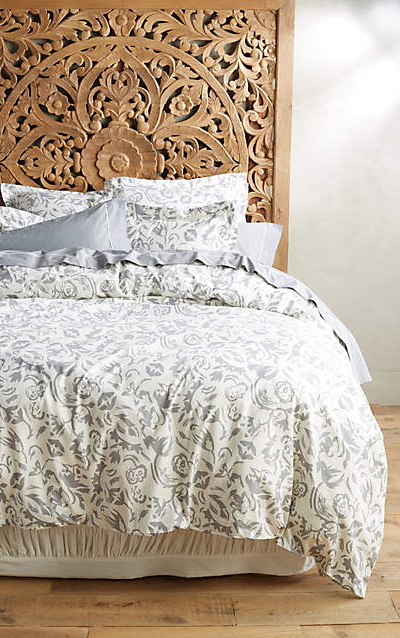 $95 Sale $85. Buy here. 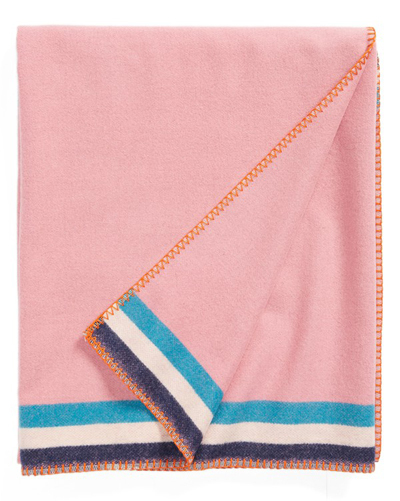 With a nautical striped jacquard backing, this Anchor Rug in Atlantic is fully reversible and lends an air of classic charm with either side displayed. 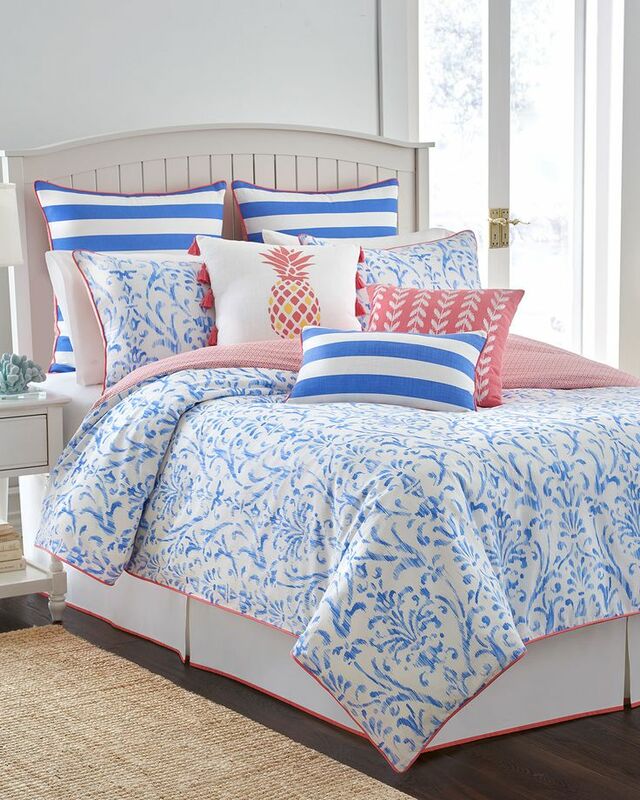 Hand loomed in India and water resistant, the easy care PET fiber of the Anchor Collection is ideal for any area with pets, kids or high traffic. $57-$850. Buy here. 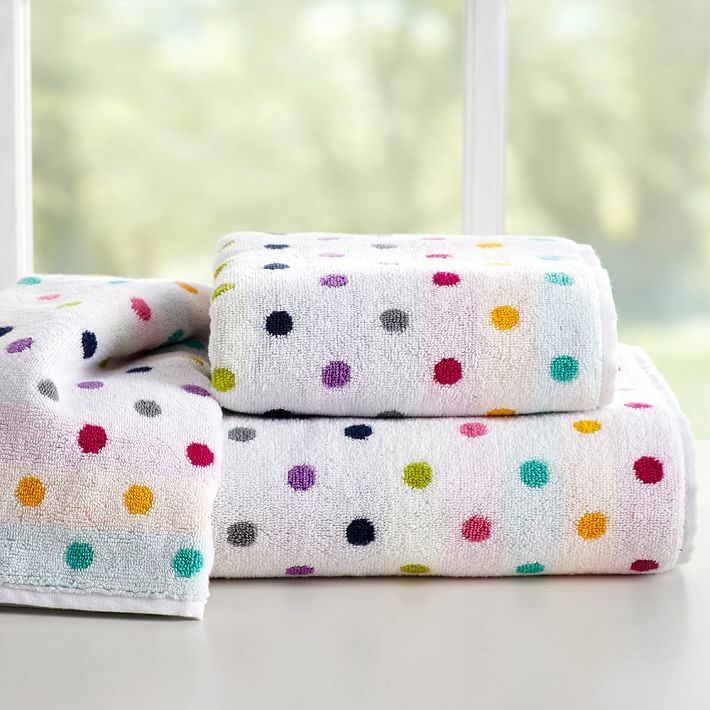 With bright spots on white and bold stripes with white dots on the reverse, these touchably soft cotton Confetti Dot Bath Towels add playful color to your bath routine. $8.50-$45 Sale $7-$36. Free shipping. Buy here. 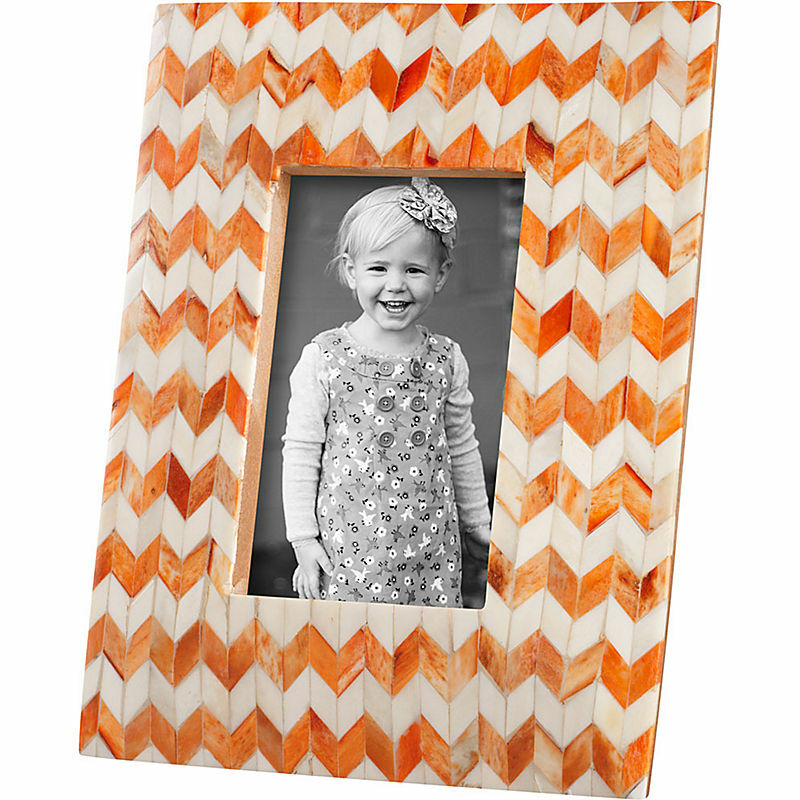 This great Orange Chevron Picture Frame features a rich orange chevron design. 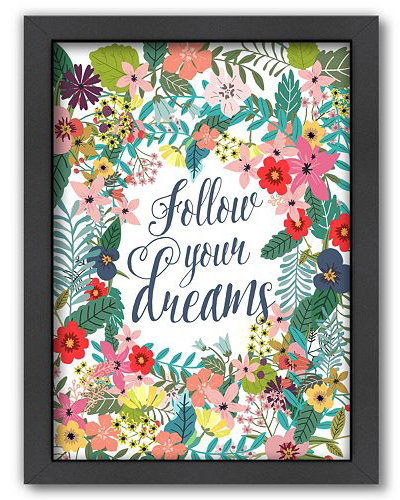 Sure to enhance any 4″ x 6″ photo, and add designer flair to any room. $19.95. Buy here. 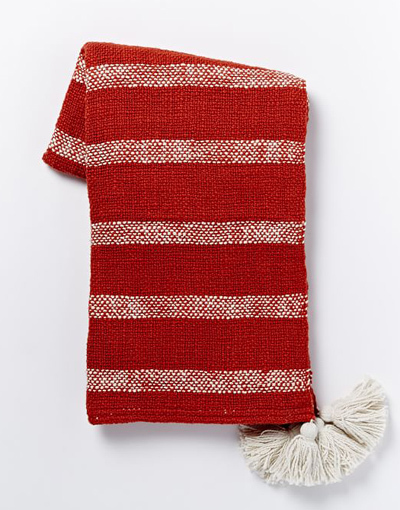 Super soft and cozy with oversized tassels at the corners, this Red Tassel Stripe Throw is the kind of piece that just pulls a room together. 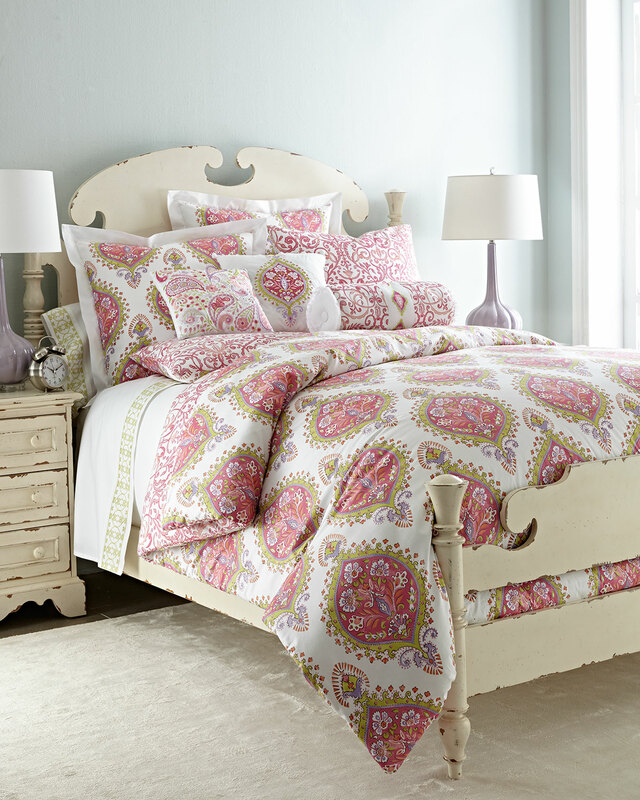 Pair it with matching pillow covers to complete the look. $59. Buy here. 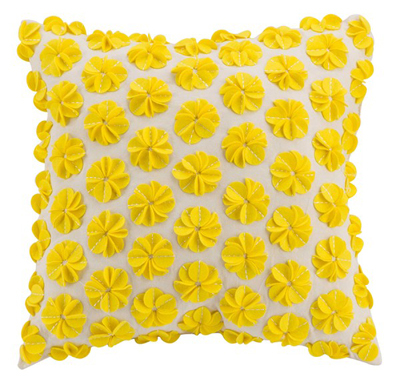 Felted floral appliqués burst into bloom on this cotton Yellow Accent Pillow that charms with its cheery hue and homespun look. $49.99. Free shipping. Buy here. 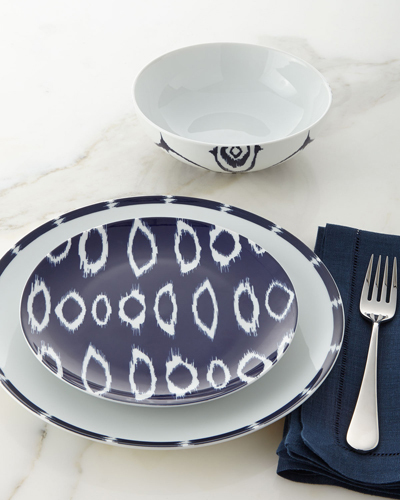 This handcrafted 12-Piece Navy Ikat Dinnerware Service is made of porcelain and features a hand-painted ikat design. Dishwasher and microwave safe. Service for four. $180. Free shipping. Buy here. 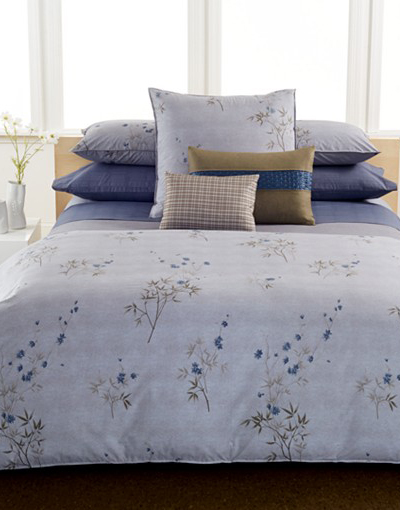 This Lorita Organic Cotton Duvet by Native Organic is made from super soft organic cotton derived from G.M.O-free family farms. $148-$188. Buy here. 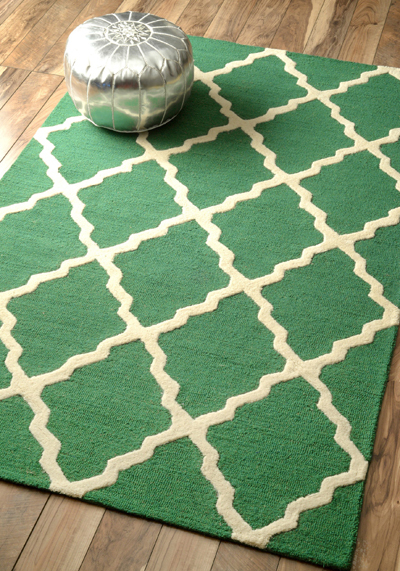 This stunning hand-hooked Green Hand-hooked Alexa Moroccan Trellis Wool Rug features a striking trellis design that blends with traditional, contemporary or rustic decor. 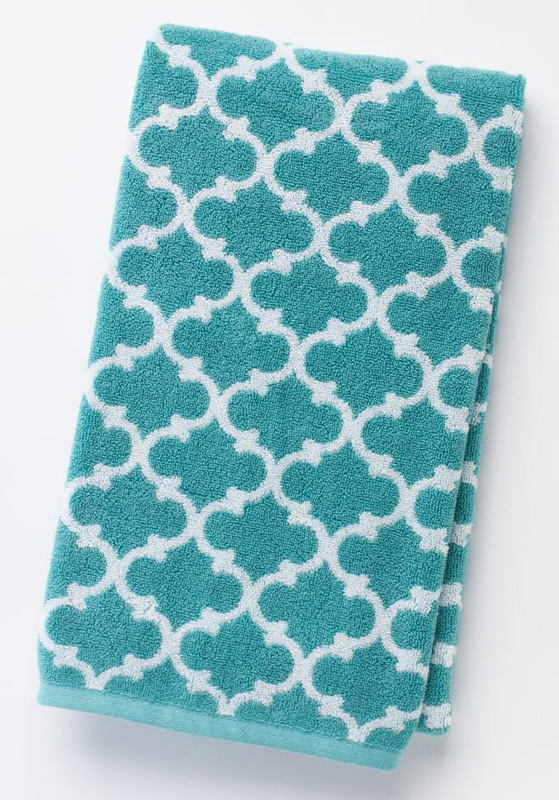 This wool rug is finely constructed with petit point stitches that give it a hand-crafted look and feel. $163.99 Sale $139.39. Buy here. 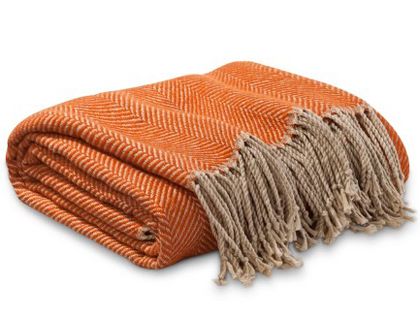 This classic Threshold Orange Herringbone Throw will perfectly accent any décor. 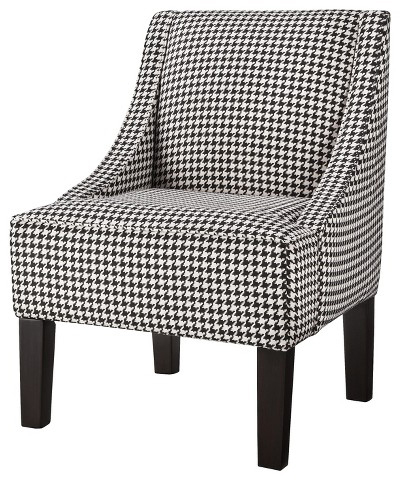 Toss it over the back of a chair, your sofa or roll it up and put it in a basket beside your fireplace. $24.99 Sale $17.50. Buy here.